After our Apo Reef Tour, Red and the rest of the group decided to have another tour. This time in the islands of Polillo. Ride either the van or Raymond bus (ordinary) going to Infanta, Quezon situated at Legarda, Manila. Fare in Raymond bus is P205.00 while the fare for the van is P220.00 Travel time using the bus is 6 hours while for the van is 3-4 hours only. Infanta, Quezon is 148 kilometers from Manila while Real, Quezon is 136 kilometers from Manila. If you are traveling in a group of 10-15 pax, better hire the van for P2,500.00 (one-way) and contact Sir Herman 0910-980-9755. Ride the aircon bus (either Greenstar or DLTB) en route to Sta. Cruz, Laguna. The terminal can be found in Buendia, Pasay City. The fare from Manila to Sta. Cruz is P140.00 Travel time is 3 hours. From Calamba City to Sta. Cruz, the fare is P61.00 and travel is only 1 hour and 30 minutes. Reaching Sta. Cruz, board the jeep going to Siniloan for P40.00 and travel time is 1 hour (There is also a van in Pagsanjan directly going to Infanta and travel time is only 1.5 hours; from Sta. Cruz board a jeep to Pagsanjan for P8.00 only). Then, alight in Siniloan and board the jeep going to Real, Quezon. Travel time is 2 hours. You can also rent a van from SM Calamba City to Real, Quezon for P4,000.00 and contact Sir Herman 0910-980-9755. Ride the bus going to Lucena either in Cubao or Buendia. In Buendia, the bus companies available are Lucena Lines, Jacliner, DLTB or Jam. Travel time from either Buendia or Cubao to Lucena is approximately 4 hours. Fare in Cubao to Lucena is P218.00 and it is 132 kilometers. Fare in Buendia is P209.50 and it is 127 kilometers. Alight at the Lucena Grand Central terminal,and then ride either AH bus or the van going to Infanta, Quezon. Fare in the ordinary bus from Lucena to Real is P158.00 and travel time is 4.5 hours. While the fare in the van going to Real is P200.00 and travel time is 4 hours. If you are traveling in a group of 10-15 pax, you can rent a van for P4,500 and contact Sir Ryan 0920-260-8471. Getting the number of the participants for this tour was the primordial problem. Good thing my original travel buddies, Laine, Jayson, Lester, Nikko and Jen were able to give their much needed yes for this tour. It has been a while since we had toured together. I think the last one was in Bicol about two years ago. But the feeling of again being with them in this tour was priceless. I missed these guys. They were my former students (Red Chuca was also a former student). We have another tour slated on July for MJ Corillo but this tour is a much needed respite for everyone. Anyway, at the appointed date and time, we met, parted, and arrived in Real, Quezon. We boarded the boat ride to Anawan. Fare was P200.00 and the ride was good for more than 2 hours. There are two stops for the said boat ride. First stop is in Anawan and the second stop is in town itself of Polillo. Our boat ride to Anawan was good only for 1 hour and 45 minutes. The boat ride from Anawan to Polillo is good for another 35 minutes. After the boat ride in Real to Anawan, we boarded the jeepney ride to the heart of Anawan. Travel time was good for 45 minutes. We were hoping to ride at the top of the jeepney (just like in Sagada) but the driver refused our request. Nearing the town, we were informed that there was one passenger who fell from the roof of the jeepney. And there were plenty of electric cables that can drag the passenger down from the top of the jeepney. Finally, after the bumpy ride, we reached Anawan. There we met our tour organizer and took our breakfast. After our sumptuous breakfast, we boarded our boat ride to Anilon Island. The boat ride to Anilon Island was more or less an hour. And we were greeted with monsoon rains along our ride. Weather was not at its best but we did not mind it. We are here to enjoy! It was cloudy that day. We reached Anilon Island past 12 noon and we went to our place of stay. Anilon Island is one of the best islands in Polillo to stay and it has one of the finest white sand beaches. But you can choose from the numerous islands. But Anilon offers fresh water, food, and shelter. You can buy fish here at a very minimal price. Nelson and I remembered and relived our last tour in Apo Reef. We even remembered Atty. Judy. We were prepared to get intoxicated. Everybody was busy pitching their tents or tying their hammocks. After we are done pitching our tents, we decided to start with our escapade. Explore Polillo! First stop was Pulong Buhangin! For me, I think this was the best part of the tour. I enjoyed snorkeling here and the tide was quite shallow. Everybody was busy either swimming, snorkeling or looking at the corals. This is the best place to enjoy the beautiful corals of Polillo! After nearly an hour, we decided to embark to our next destination - Puting Bato. There were also plenty of corals in the said island but the others were busy exploring the island. I lost my "tsinelas" in the vicinity and Mon was kind enough later on to lend me his spare sandals. Last stop was - May Leeg. This area is abundant with corals and various kinds of fish. After 3 hours of exploring the islands of Polillo, we decided to head back to Anilon Island and catch the sunset. It was cloudy that day and we were given only a glimpse of the sunset. The best part of the day was the dinner and the drinking spree! We consumed all the liquors we brought in the island. It was already raining hard when we were having our drinking spree and the weather got worst later. We played several parlor games and the unanimous winner was Lester. Mon was very busy that night doing what he does best and his most avid and persistent client was Red Chuca. A lot of us did not sleep well. It rained hard that night. All our tents, hammocks and some of our stuff got wet. But still everybody had high spirits and enthusiastic of what Polillo has left to offer for that day. Jen's clothes got wet. Laine and Jayson also got wet. And I was not able to sleep for the whole night. After our late breakfast, we decided leave Anilon island and head to the other islands. It took us more than an hour to reach our first destination. Weather was not again on our side. Mother nature was still raining. This was the best island for that day! After our joyous ride, we reached Pulong Coccok. The boat ride was almost two hours from Anilon Island. It was low tide and we explored the enormous area of the island. Next stop was Binunbunan Island. We took our late lunch on this island. And since it was low tide, we again explored the entire area of the exposed land mass. We stayed for more than an hour and then headed to Bakaw-Bakawan. We reached it after 15 minutes and then headed to the port. After reaching the port, we went to our hotel left our bags and went to the dam. Honestly, I was expecting a huge dam. The best part of the day was the birthday celebration of Nelson Aclan. He bought two enormous Lapu-Lapu and we enjoyed the whole night drinking beer! Red, Nikko, and I woke up early the following morning and headed back to the port. The weather that day was at its best and the sea was calm. The sky was so clear you can see the milky way. We enjoyed the scenery and took pictures of the sunrise! After breakfast, we headed to the town of Polillo. After almost two hours, we reached the town of Polillo and thereafter boarded the boat back to Real, Quezon. In Real, Red bought pancit for everyone and then we parted ways. Till our next journey guys! 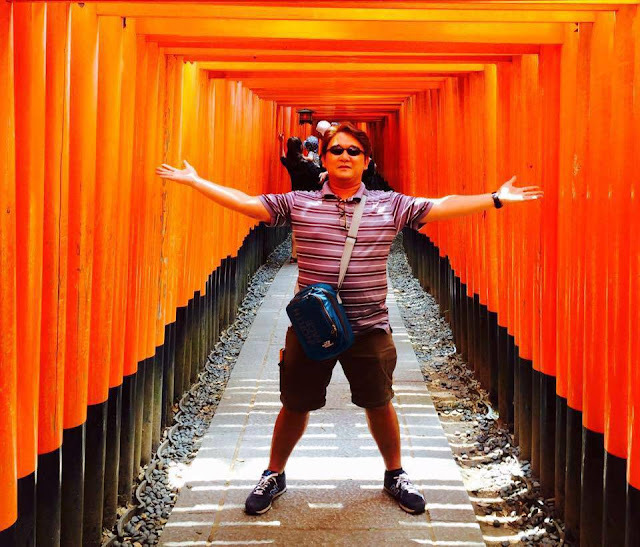 Eksena sa Japan is an excerpt of the events, experiences, anecdotes, and opinions about my escapade for thirteen (13) days in Japan. Some of the series are my funny moments in Japan and the rest tackles about serious matters. Suddenly, a Japanese was hurriedly running on the same line that I was waiting and he pressed the " OPEN" button! Hindi nga ako sumakay! Lahat ng nasa loob nakatingin saken kaya. Deadma ako. Kunyare walang nangyari. And the train moved forward! I waited for the next one! Just alighted from a shinkansen ride from Osaka to Kyoto! Entered an Avanti Mall and was finally able to find a resto. I waited for the waiter to approach my table. 1, 2, 3, 4, 5 minutes ndi na kinaya ng power ko!! I looked at the waiter and shouted sumimasen (excuse me!). The waiter pointed at the door. Until another customer entered the room and I noticed he approached a machine beside the door and he was encoding something. Again, I asked the waiter for the menu. Finally, I realized! I approached the door and looked at the machine. I was in Nara Deer Park and I was walking to the shrine. Gutom na ako! Yun ba namang galing kang Kobe ng umaga at Nara sa hapon. Buti na lang at may bullet train. Lapit agad ako at order ng isa. Pagkabigay saken supsup agad ako. 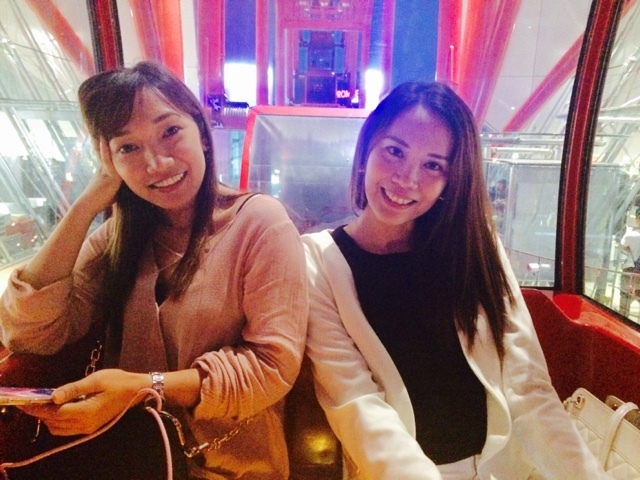 I met two Filipinas here in Japan. We exchanged stories about our lives, work and stressors. I was practically absorbing all their problems, bickerings, frustations and anxiety. One of them wanted to be successful by the time she reaches the age of 30. I shared my own story. There was even a point in time when I was borrowing money from my co-teachers way back in 2004-2005 when I quit my job in the law firm. And I had practically no money or savings. So what did I do or what are my secrets? 1. I did not choose to be successful. I chose to be HAPPY. 2. I did not long for material things. I was contented with what I have. 3. I made my life simple. I did not buy expensive things. 4. I shared my blessings to others. There are times even when I had none to share. 5. I chose a job which I really liked. I loved it, embraced it and had passion doing it. 6. I tried to make people happy by organizing outreach projects back then. 7. I did not plan. I worked, did my job the best possible way. 8. I lived my life to the fullest and was thankful for everyday. 9. I tried not to cause problem to others. I believe in Karma. 10. Finally, I prayed. Made my faith stronger everyday. I became a lawyer, professor, travel blogger, lone traveler, reviewer and most of all a HAPPY person . I approached the front desk and this guy welcomed me. It felt really good! Wow! How I wish could see that someday! We don't have Mt. Fuji. But we have Mt. Mayon. At a clear day on-board a plane going to Legazpi. Trust me, you will have the same feeling when you see our very own Mt. Mayon from the top of the plane! 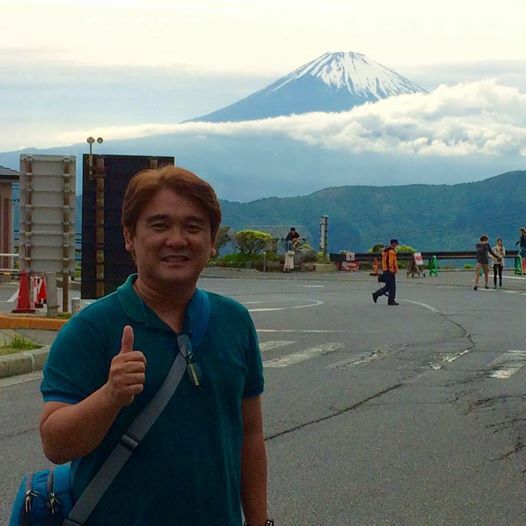 I landed via CebuPac in Fukuoka. Nalungkot ako bigla. I did not know why. Maybe I was afraid. Afraid that trip will not be successful or something might go wrong. I had a hard time finding my hotel. I was weary and hungry. After an hour of walking and asking, I was able to find it. The following day I went to the Fukuoka Castle. It was an enormous area. I did not see the castle. I realized why the name is called Fukuoka Castle "Ruins." Then, I went to Hakata (main center in Fukuoka) only to find out that the train ride to Hiroshima using the shinkansen is worth 8,500 yen (or roughly P4,000). 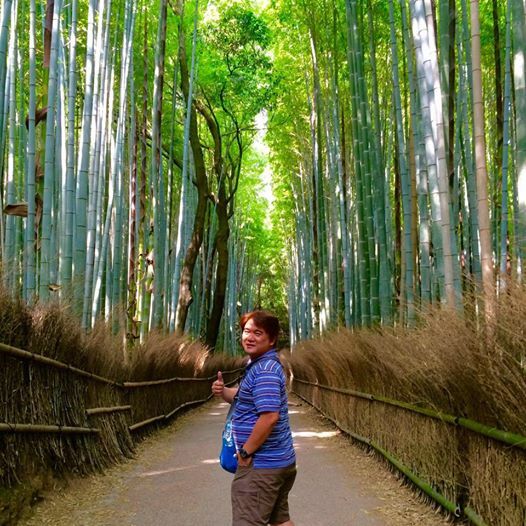 Traveling here in Japan was one of my ultimate dreams in life. Suddenly, I realized then that this trip is one of my dreams. I hoisted the bag at my back. Walked towards the shinkansen station and boarded the track to Hiroshima and smiled. Finally, I was able to smile. "Never give up on your dreams. Trials may hinder your travel towards it but the goal is to reach for your dream. Happiness is a choice and I choose to be happy! Now I am in Day 7 - Mt. Fuji of my travel and seeing it made me realize that it was a good thing I stood up and boarded the train to Hiroshima. I woke up today around 4:25 am and the sun was already up. During the change of the season in May the night is very short. Sunset yesterday was 7:25 pm. It was drizzling and temperature was 15 degrees. Anyway, I boarded the sightseeing boat and then transferred to another Tozan bus and I finally arrived in Okudawa. "You win some and you lose some." There are three kinds of train transport in Hakone (aside from the various buses). 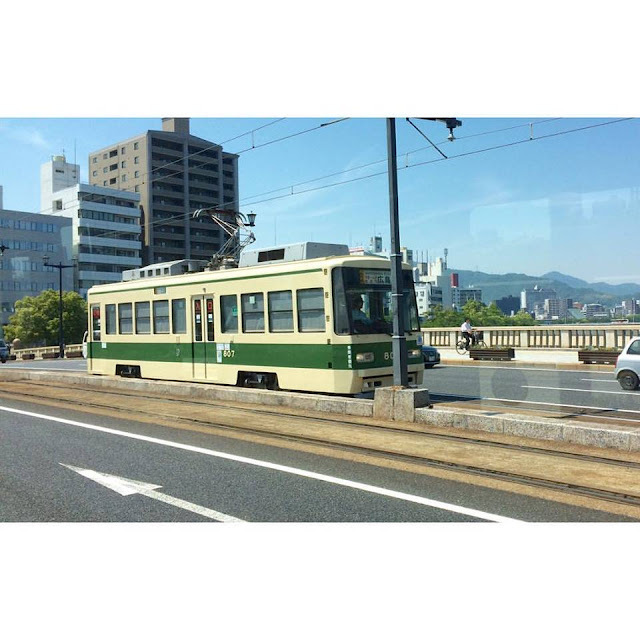 The Hakone Railway, Cable Car and Ropeway. Yesterday, I boarded the Hakone Railway. It was very slow (with the speed only of 15-20 kms/hour). And because I was tired, I fell asleep. And missed my stop (lagpas ako ng 3 stations). The train interval is 15 minutes. So I had to go back. But this time, isang station lang. I smiled sa katangahan ko. Nobody even knows and I promised myself - "walang makakalam nito!" "Never commit the same mistake twice"
Anyway, at least na-divert ang aking disappointment sa Mt. Fuji. But right now ndi ako makaalis sa hostel at nakikiramdam. Darating ba sya!? The bus ride to Okadawara is 55 minutes. Anyway, I waited a while before I left. Nagparamdam sya pero tolerable naman. "Waiting time is compensable time (principle sa Labor Law hehehe)"
I am having problem with the word "next." Sa local trains kasi malayo ka pa lang lalabas na sa screen - "Next Station Okimara." Yun lang pagdating mo ng station nakalagay pa din - "Next Station Okimara"
Somewhere in Fukuoka or Hiroshima ko naencounter ito. Problem was nakakalagpas ako sa station during my Day 1 and 2 tours. I was going to the Tokyo terminal for my shinkansen ride to Shin Hakodate-Hokuto. I woke up with an annoying sound that was continuously falling on the roof and on the wall. It's raining! I was not prepared for the rain. I don't have a waterproof jacket (which I have back in Pinas) neither do I have an umbrella (I do not know where to buy one). The next part is the funny part. 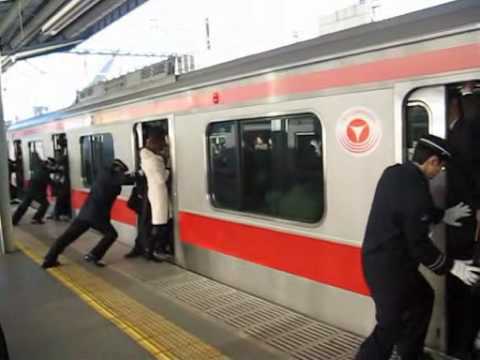 I have seen pictures of people being tossed inside the train during peak hours on trains in Tokyo! And Alas! It was 7:30 am. Rush hour! Everybody was running or making their way to the train. "Rain rain go away, come again another day!" I was suppose to go to Sapporo on the 27th of May. However, my shinkansen ride is set to expire on May 26. I booked my hostel in Tokyo for two days. I bought the JR Pass for 33,000 yen 5 days earlier. Fare for the trip to Sapporo using the shinkasen is 28,000 yen (roughly P13,000). The hostel reservation is 6,000 yen for two days. 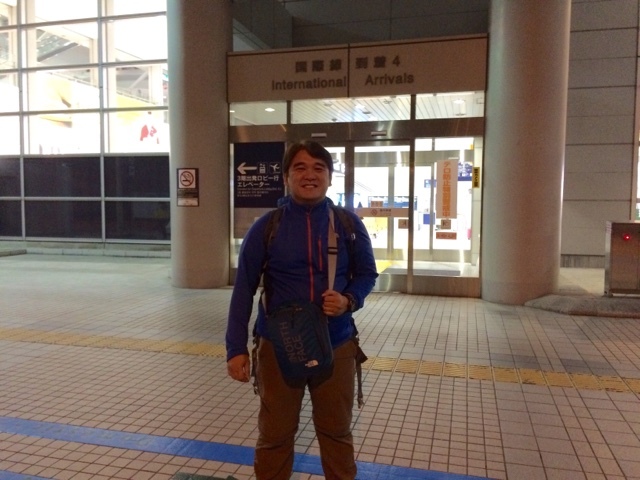 I arrived in Tokyo and talked to the owner of the hostel and explained my predicament and he was very happy to oblige and allowed me to stay only for one night. One problem down! Second problem is the Sapporo trip needs two shinkansen rides. 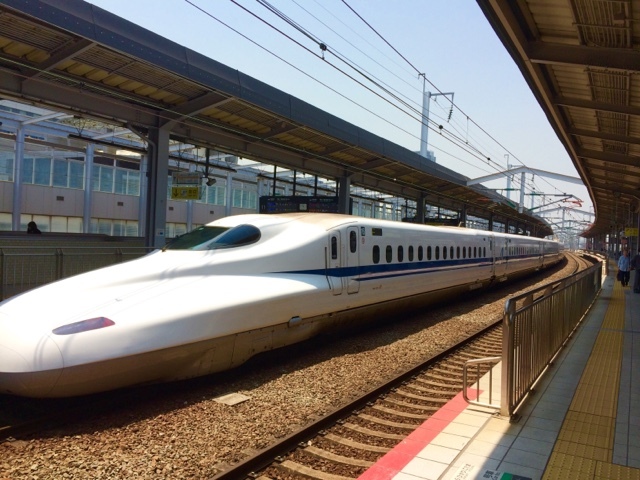 First from Tokyo to Hakodate-Hokuto (4 hours and 2 minutes and the second one is Hokuyo to Sapporo (3 hours and 28 minutes). I made reservation for the first route. While the second one is not available for reservation. I noticed that the rides are "all" reserved. I must have other options then such as local train or bus to Sapporo. 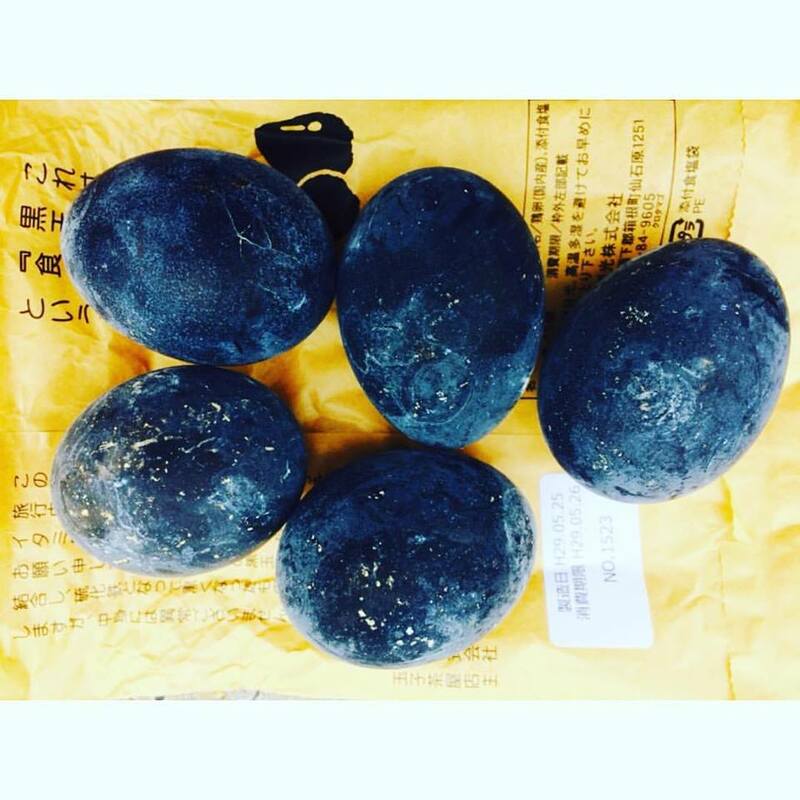 I waited upon my arrival in Hokuto to decide on the problem. "There is light at the end of the shinkansen tunnel"
"Our decisions in life tell us who we are"
Without any reservation for my JR Pass (you have to make reservation, otherwise standing ka), I ventured into going from Hokuto (last station of shinkansen, Tokyo to Hokuto is 4 hours by bullet train) to Sapporo. 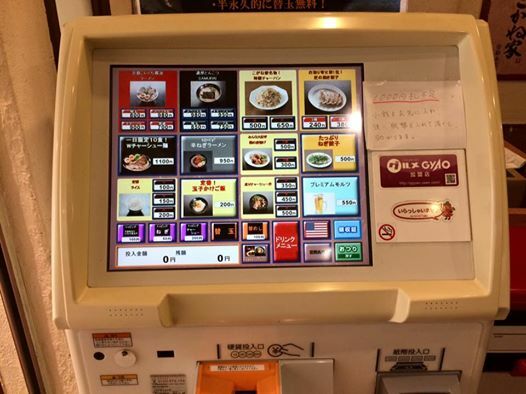 While in Odawara and Tokyo, I tried to make a reservation but to no avail. While at the Hokuto Station, I suddenly figured out why. The train is a small local train and there are numerous people waiting for the ride. I still tried to make a reservation in Hokuto but all reserved seats are taken. Then, I remembered that you can purchase a standing ticket. And so I said - "Standing" and I was told "cars 6-7." 3. Hindi sila approachable but once you ask them for help, they will help you. It was raining in Sapporo. My options for my tour were limited by the weather. And so I decided to have the Asahi Beer Brewery Tour for FREE. My hostel was kind enough to schedule the tour at 11:00 am. Without any knowledge of the train, street car or subway system in Sapporo, I hurriedly when to the subway (nearest to my stay according to the map) and boarded the subway to my destination. I had to change trains before arriving in the place. I walked towards the Asahi plant and registered as one of the participants for the tour. 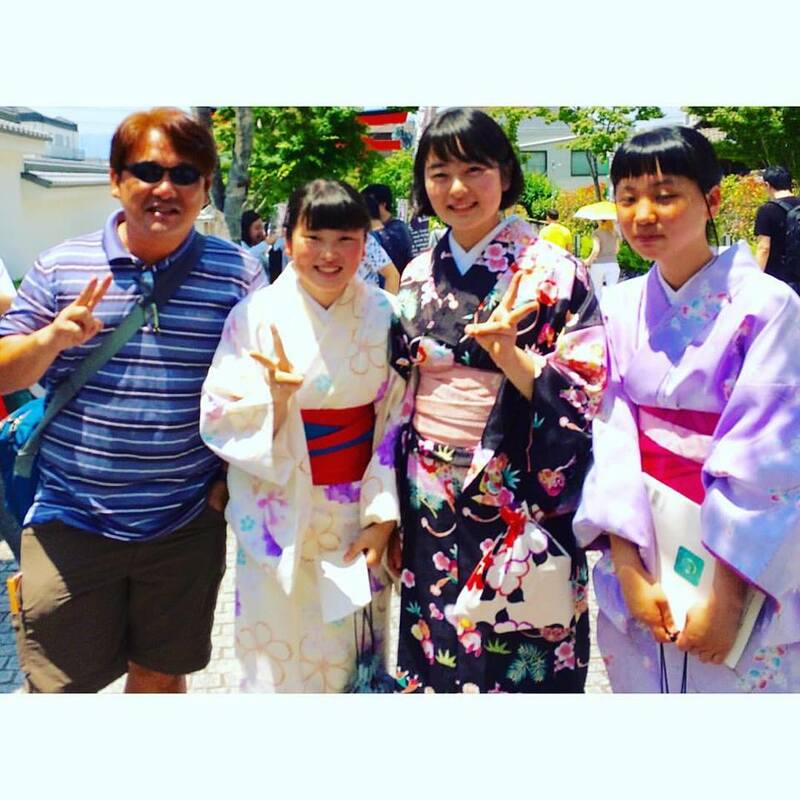 There I met the family of Dr. Mupas who was making their 4th tour in Japan. The tour started exactly 11:00 am. First was the film showing which I did not understand because it was in Japanese. 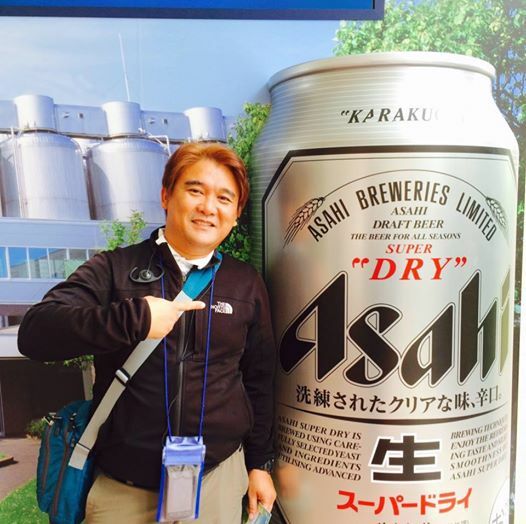 Second part was the actual tour and the last and the most-awaited part, the 20-minute drink-all-you-can Asahi beer! I lined up and in minutes consumed two glasses of Asahi Super Dry and then two glasses of Asahi Super Black. By the time it was finished, I consumed 6 glasses of various brands of Asahi Beer!! Then, it happened! Sumipa na sya!!! I bid goodbye to Dr. Mupas and his family and walked back to the station. I was walking in a bit zigzag manner, my vision was blurry, and in the middle of the rain, I was laughing. I was laughing until I reached the station. I asked for direction and I still have the grin written all over my face. I FELL ASLEEP INSIDE THE TRAIN (and I think I was snoring a bit or my mouth was wide open). Anyway, the ride is 15 stations from Sapporo to Otaru or 30 minutes. She was walking towards me coming from the stairs inside the track of the subway. The world seemed to stand still while she was approaching me. The rest of the people around the station were not moving. My sight was fixed on her. She was moving slowly towards me. My eyes were fixed on her face. She also looked at me. She passed on my left side and continued walking. While I was there left frozen. Then, I heard the sound of the incoming train. And the world moved again. 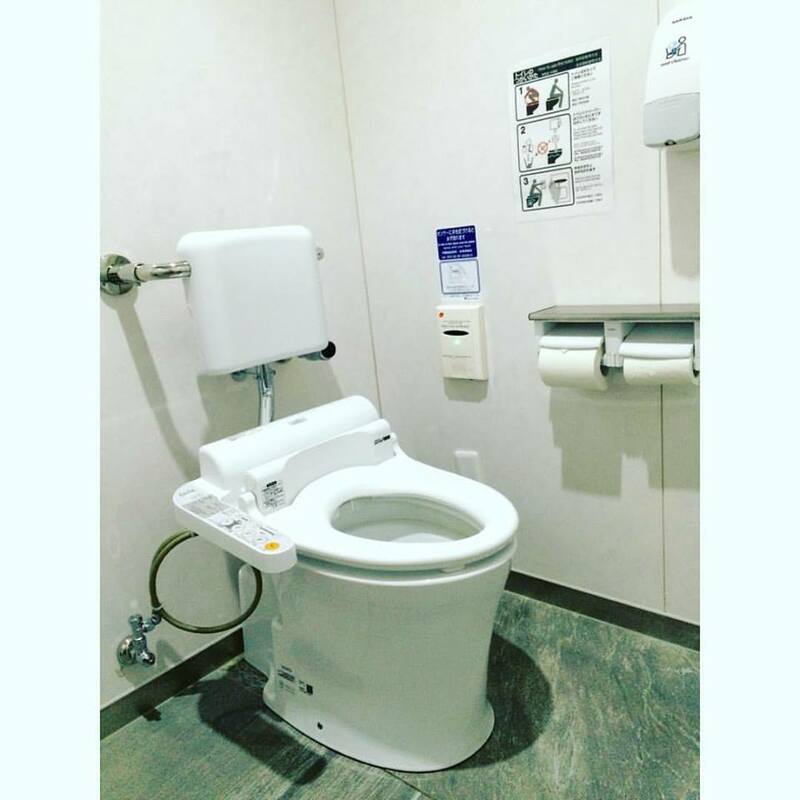 There are two other eksena that I was not able to include here, Eksena SA Japan #19 - Toilet Issue and Eksena sa Japan #20 - Life Made Easier in Japan. In the near future, I will include them. For the meantime, SAYONARA!